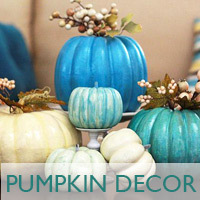 Fun and creative ways to use pumpkins in your fall decor. 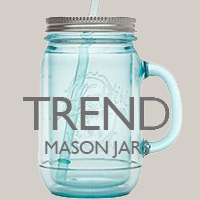 There are so many fun ways to create using a mason jar! 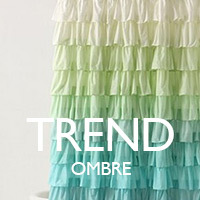 Color scheme that is still trending, Ombre. 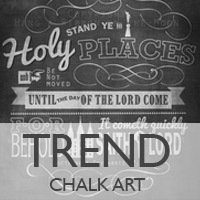 Chalk art is fun to use in party decor or other projects. 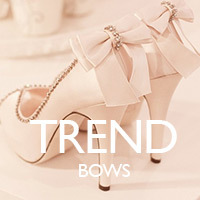 Bows are a hot trend this season in everything from hair styles to wedding cakes. 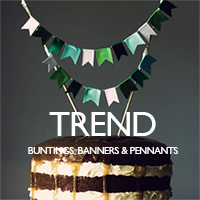 Fun trend in party decor! 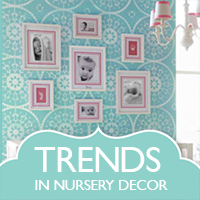 A few of the trends in nursery decor: mirrors, bold graphic patterns and chandeliers.